On September 23, 1819, French physicist Armand Hippolyte Louis Fizeau was born. He is well known for his calculation of the speed of light and his suggestion to use length of a light wave be used as a length standard. Fizeau entered the Paris Medical School in 1840, but he soon gave up on medicine because of severe migraines and spent some time travelling during which time he regained his health. His new focus of attention should be physics. He attended Arago‘s lectures at the Observatory, and enrolled in a course on optics at the Collège de France. Furthermore, he began to deeply study notebooks containing the lecture notes taken by his brother who attended courses at the École Polytechnique. 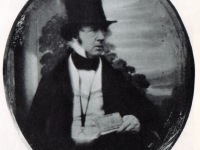 It was Arago, who encouraged Fizeau and Foucault in 1845 and suggested that they might attempt to make photographs of an image of the sun produced by a telescope. Thus, Fizeau and Foucault produced what is considered the first astronomical photography. It was in the field of optics that Fizeau earned a lasting reputation. The original inspiration came from François Arago, who looked for a decisive test between the corpuscular and wave theories of light. If the wave theory was true, the velocity of light had to be greater in moving media, such as water flowing in a tube. 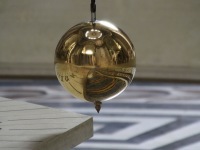 The project implied the working out of a terrestrial method of measuring the speed of light, and Arago suggested that this could be done by using a rotating mirror. In 1849, Fizeau calculated a value for the speed of light more precise than the previous value determined by Ole Rømer in 1676. He used a beam of light reflected from a mirror eight kilometers away. The beam passed through the gaps between teeth of a rapidly rotating wheel. The speed of the wheel was increased until the returning light passed through the next gap and could be seen. Fizeau calculated the speed of light to be 313,300 kilometres per second, which was within about five percent of the correct value (299,792.458 kilometers per second). 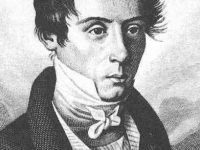 Fizeau published the first results obtained by his method for determining the speed of light in 1849. In 1851 he carried out a series of experiments in an attempt to detect the luminiferous ether—a hypothetical material that was thought to occupy all of space and to be necessary for carrying the vibrations of light waves. 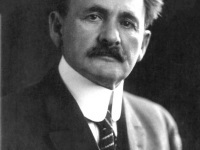 The experimental results failed to demonstrate the existence of the ether, but his work helped lead to the discarding of the ether theory in the early years of the 20th century. Fizeau was elected a member of the Academy of Sciences in 1860, an a member of the Bureau des Longitudes in 1878. He received the decoration of the Legion of Honour in 1849 and became officer in 1875. In 1866 the Royal Society of London awarded him the Rumford Medal. At yovisto you can learn more about the physics behind the speed of light in the NASA documentary ‘Einsteins Cosmic Speed Limit‘.